An imposing figure on any shelf, this offering from Bruichladdich is a veritable titan of peat. In fact the Octomore product line currently stands as the world’s heaviest peated, often north of 140 parts per million (ppm) phenols. For a frame of reference, Ardbeg and Laphroaig typically contain about 54 and 40ppm phenols respectively. Octomore is made in limited runs, and there is considerable batch variation, so the version number naming convention is for the sake of whisky enthusiasts as a quick reference to track the years aged and various ppm levels. There are rumours of an Octomore release in the pipeline for Summer 2014 that clocks in above an unthinkable 300 ppm. 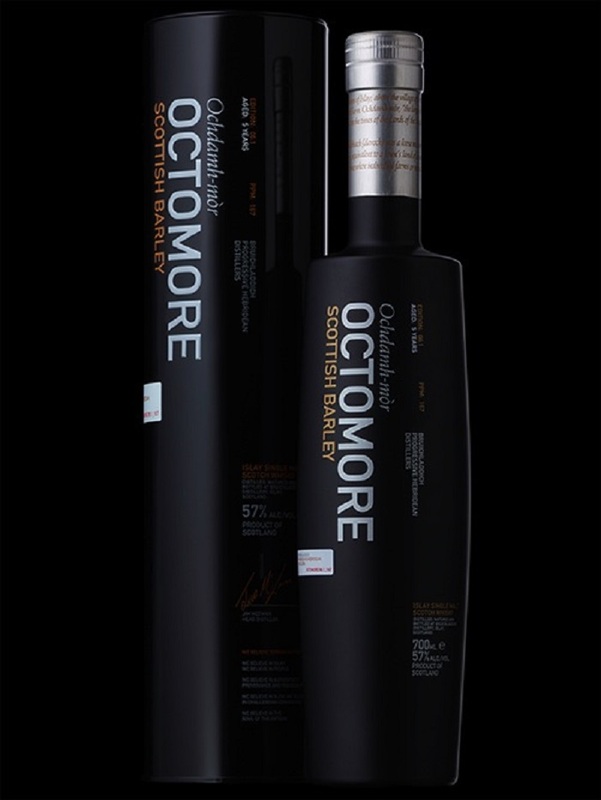 The name pays homage to the Octomore distillery which was near to Bruichladdich and closed in the 19th century. Bruichladdich has been kind enough to elaborate further here. Aside from having a package design that seems based on the B2 Bomber, this particular whisky was aged 5 years in ex-bourbon casks, is offered at cask strength (59.5%) and its malt was measured at 169 ppm phenols. Nose:A trail of smoke and rye bread hides behind the aggressive veil of anise, brine and heavy vegetals brought ostensibly by the peat and the long-necked stills at Bruichladdich that make this spirit so volatile. Palate: Kicks like a mule and thus requires a steady hand and patience. No delusions here, add water as needed. The punched up peat weaves into a semi-sour herbal smoke. Hints of vanilla poke through late, but there is a distinct new-make spirit character still found within this relatively young whisky. Finish: Chili pepper and hot rubber notes linger. 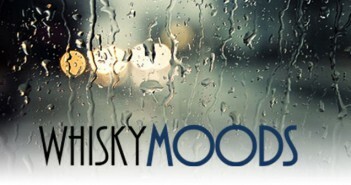 Our repository of taste experiences, our thoughts on fine malts, and other scotch related news.